We provide our customers with top quality stainless steel sheets. We have the most competitive stainless steel sheet pricing you will find. We carry gauge 7-24 on most materials. Starland Metals has a large stainless steel, mild steel, and galvanized steel, inventory to fit any job. We have a long history of great service and pricing around. Contact us for stainless steel pricing and products not found here. 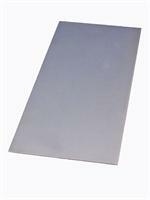 We have stainless steel sheet metal type 304 available in most gauges. 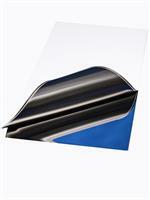 Stainless Steel Sheet Type #4 Finish has a brushed finish which you normally find in kitchen, laboratory duct work. Stainless Sheets are also used in commercial cooking areas, BBQ grills. Decorate your home with a Kitchen and Bathroom back splash. Stainless Steel Sheet Type #8 Finish is mirror stainless that you will find in display enclosures,truck and pickup grills, and many other high polished applications. Stainless Steel Sheet Metal can modernize your home. We Provide Free Custom Cutting. Here is how it works! If you want an 23"x21" piece. You simply buy a 24"x24" piece and enter the size you want in the box provided just below. It doesn't matter what gauge it is. It's fast,simple, and easy. 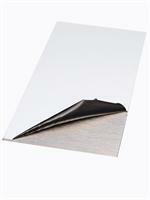 For a full size stainless steel sheet or large quantity sheets click here.